NEW YORK -- So there's at least one person with zero interest in watching the Williams sisters play each other in the U.S. Open quarterfinals Tuesday night, with Serena's bid for a calendar-year Grand Slam on the line. "It's just hard to see them both going out there," Price said, "and you know they both want it." 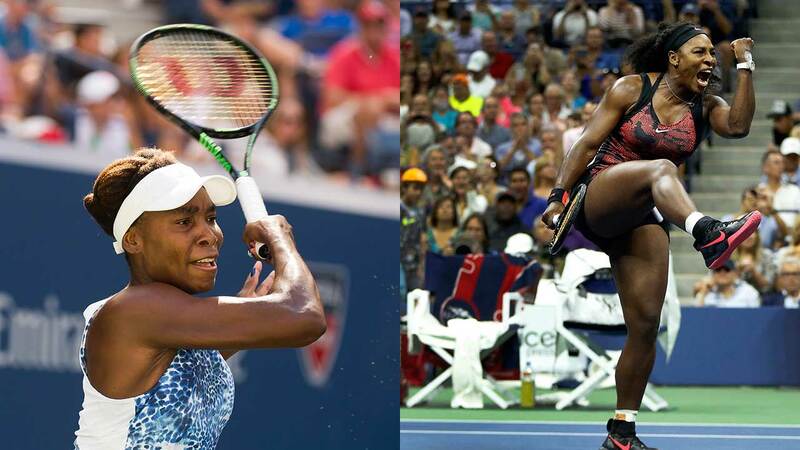 Unique and extraordinary dynamics are always involved when 21-time major champion Serena Williams faces older sibling and seven-time major champion Venus Williams in a professional tennis match. This will be their fifth meeting at Flushing Meadows (each has won twice), the 14th at a major tournament (Serena leads 8-5), and 27th overall (Serena leads 15-11). They met two months ago in the fourth round at Wimbledon, and Serena won in straight sets (Price also stayed away from Centre Court that day). Throughout the U.S. Open, various players have been asked what it would be like to beat No. 1-seeded Serena in New York and end her attempt to become the first player in 27 years to win all four major titles in a single season. But what must it be like for the 23rd-seeded Venus to try to thwart such an effort by her little sister? "I don't know. You have to ask Venus that question," Price said. "I know it's going to be hard, because I know (Venus) wants (Serena) to get it. But what can you say? You know they're competitors." "I don't think anyone wants to be a spoiler. I think people love to see history being made," she said. "No one is out to be a spoiler, but at the same time, you're focused on winning your match, even though the circumstances are really much different." As for how she goes about preparing for this matchup, Venus said: "Even though you're playing your sister, you have to be prepared and focus. The preparation doesn't change." Venus, born 15 months before Serena, has been in a similar spot before. She was the opponent in every final when Serena won four major titles in a row from the 2002 French Open to 2003 Australian Open. Novak Djokovic and Roger Federer couldn't imagine being in the situation the Williams family finds itself in. "The first thing that comes to my mind is how would I feel to play my brother, and I don't think that would be possible, honestly," said Djokovic, whose younger brother, Marko, has played at lower levels. "I, in a way, admire what they're doing for so many years - to play against each other on such a big stage." Said Federer: "I'd have a hard time playing a brother. I'm happy I don't have a tennis brother." Before they started traveling the world together, practicing together, occasionally playing doubles together, and collecting Grand Slam singles titles and the No. 1 ranking, Venus and Serena Williams were a couple of kids learning to play tennis from Dad on a hard court in Compton, California. And they used to play each other back then, too, of course. There wasn't a big crowd, and no one was watching on TV, either. While Serena has earned the victory in six of their past matches with money and ranking points at stake, it wasn't always so. "I used to always win," Venus said, "in the early days."